Aren't these fun?! My customer's son is turning 8 and he loves legos, so she asked me to make him some lego decorated sugar cookies. 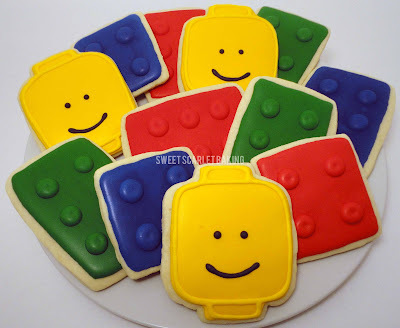 I found these great tutorials from Sweet Sugar Belle on making the bricks and the lego man head. These cookies are so simple to make and, yet, look amazing!